On Wednesday May 25, Oprah Winfrey said her final farewell to fans on her 25-year-running popular television show. “It has been a privilege for me to talk to you in this studio, this country, and 150 countries around the world,” she said to her final studio audience. 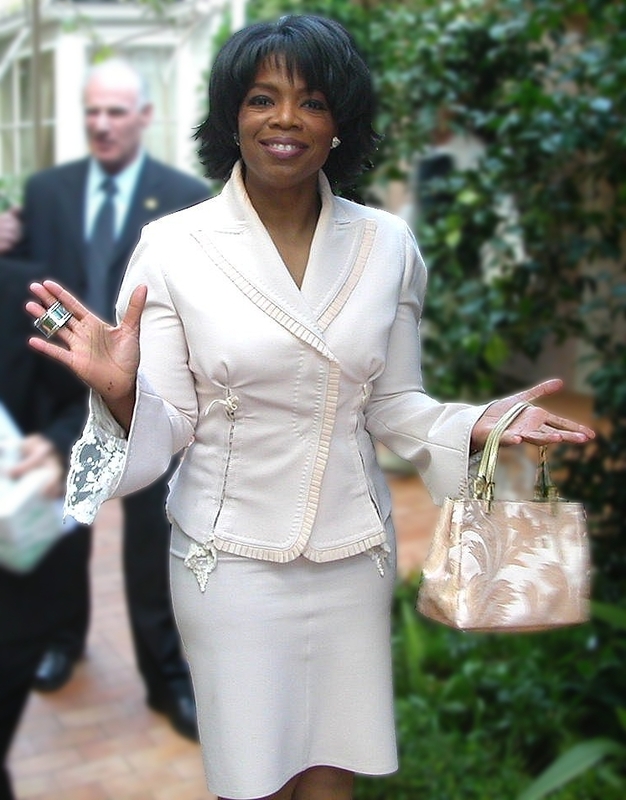 The Oprah show was syndicated in 145 countries, making her a global brand. She was also consistently named by Time magazine as one of the most influential people in the world. Her reach was far and her influence unparalleled. To say she had more power than the President of the United States would not be too much of a stretch. The reason for her success has undoubtedly been her ability to tap into the interests and concerns of the middle class. Unique to her shows was a decidedly positive approach. Instead of focusing on the negative aspects of human relationships like most talk shows of her time, Winfrey always preached a positive message, most of the time teaching viewers how to live their best lives. But who is Oprah truly? Her rags to riches story seems like something from fiction. Born in Mississippi in 1954, she grew up near poverty. As a young girl Winfrey was sexually molested by several of her relatives. At the age of 14, she became pregnant with a child that she later miscarried. When she was 17 she won the Miss Black Tennessee pageant. A few years later she got her first job as a radio announcer. Sources say that throughout this time, she was brought up in the church and often spoke at the pulpit or ministered to children in Sunday school. While Winfrey has claimed to be a Christian, many people have had trouble believing this to be true because of things she has said on her show. There is no doubt that Winfrey is someone who genuinely cares about her followers. Her program focuses on “living your best life.” But although she seems like a genuinely caring person, the God she thinks is real may not be the same God Christians believe in. In one of her shows, Winfrey promoted writer and spiritual teacher Eckhart Tolle (who himself has been known to muddy the religious waters). A viewer called in asking how Oprah reconciled Tolle’s teachings with her Christian belief. Her reply made it pretty clear how she sat with Christianity. “I’ve reconciled it because I was able to open my mind about the absolute indescribable hugeness of that which we call God. I took God out of the box … I happened to be sitting in church in my late twenties … this great minister was preaching about how great God was and how omniscient and how omnipresent God is. Then he said the Lord thy God is a jealous God,” she said. “I was caught up in the rapture of the moment until he said jealous. Something struck me, and I think I was about 27 or 28. I was thinking God is all, God is omnipresent, and God’s also jealous? … Something about that didn’t feel right in my spirit because I believe that God is love and that God is in all things.”	Winfrey seems to misunderstand and reject the very nature of God. While her long-running TV show is over, Oprah is still going strong. She has started her own network and now has control of 24 hours of content a day. Many Christians will likely add her channel to their monthly cable subscriptions and perhaps they will glean insight into a variety of things. The only subject of Oprah’s teaching that really needs to be cautioned against is her faith.